The Vocab Land set consists of 50 cards and its language content covers most core areas of CEFR B1 / B1+ syllabus. Vocab Land cards, apart from their lexical content presented in 12 different types of language tasks, allow simultaneous practice of language skills such as: reading, speaking and listening. Therefore, Vocab Landcards bring lots of fun to the classroom while simultaneously providing solid language practice. This set can beused in a broad range of ways. You can find a few suggestions below. 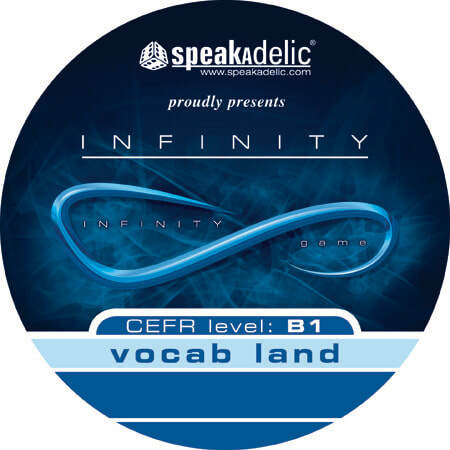 In order to reinforce the language content after using Vocab Land cards in a few mini games, the cards should be used as part of our Infinity game.